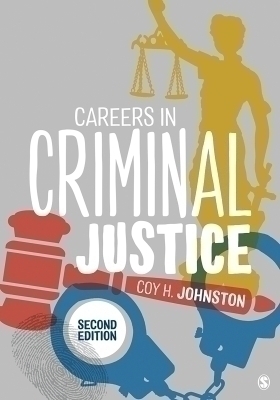 Careers in Criminal Justice, Second Edition prepares you to plan, pursue, and realize your career goals—from conception through the hiring process. Coy H. Johnston’s contemporary approach emphasizes self-reflection and pragmatism in the pursuit of self-fulfillment and professionalism. With coverage of over forty careers in policing, courts, corrections, and victim services, you receive a comprehensive overview of the most popular and growing careers in the field. Self-assessment tools enhance your self-awareness and steer you toward realistic and suitable careers in criminal justice. This easy-to-read guide is organized to prepare and encourage growth throughout your career. A new chapter titled “Volunteering and Internship” (Chapter 9) guides you through the important process of early involvement in the field to create a more enticing resume. Three new “Guest Speaker” profiles offer you new perspectives and practical advice on a variety of careers and geographical areas. New career assessment tools are included to help you evaluate your compatibility with various careers in the criminal justice field. Expanded information about critical areas such as private prisons, careers in the judiciary, and resume building ensures that you are receiving a balanced introduction to criminal justice careers.